It’s been a good year for British singer-songwriters thus far. As I sit down to type this Ed Sheeran has just announced that X has sold 182,000 copies in its opening week – the highest first week sales of 2014 six months in. Granted, Lewis Watson’s first album won’t sell as many copies upon release, but it ensures that the second half of the year begins with a winner, set for release July 7th. Watson might not be as big a name as the likes of Sheeran, Passenger or James Vincent McMorrow (yet), but The Morning sees him most definitely on the right path, an absolute delight of a debut LP. With a string of successful EP’s already under his belt it seemed like a guarantee beforehand that The Morning would be a record worth recommending, and it most definitely is. Brimming with undeniable talent and irresistible charm Watson’s debut is everything I wanted it to be, and chances are you’ll feel likewise, even if you weren’t entirely sure what to expect. His music has life and substance to it; he clearly cares, and his own passion and emotion define a lot of the songs here. Coupling both of these with warm instrumental outpourings and pristine production makes The Morning an absorbing and at times comforting listen. It shines constantly, and there’s an authentic quality to it which is hard to describe but is incredibly positive nonetheless. Despite only being 22 Watson seems to have lived for longer, and the eleven tracks on display speak volumes about who he is as both a person and a musician, and it’s a compelling and listen, if only to hear what he has to say. There’s the expected songs about relationships, and these play a big part, but there’s also slightly more depth featured elsewhere. Highlight Outgrow was my favourite track by a distance as Watson reminisces with a bittersweet nostalgia, missing childish whimsy as a weathered narrator. It’s darker, and it plays on the harsh truths of growing up, bolstered by some great horns and drumming. Watson has rarely sounded better, and as he asks ‘When was the last time we stayed up to count the stars? / When was the last time we thought that the world was ours?’ he questions it as if he genuinely can’t remember. Times change, and Outgrow is a painfully palpable reminder of just that. Following acoustic track Ghost is stripped back and stunning; haunting and ethereal to match the lyrics, and it shows the bleaker side to Watson’s music, which is just as good as the upbeat contrasts like the previously released Into The Wild, which is deliciously light-hearted in comparison, still one of his best songs to date and encouraging blissful abandon. Opener Stones Around The Sun toys with both styles as intermittent synths pierce and powerful yet delicate vocals ring out over the haze before the line ‘When you pull back pull back far enough / We are only stones around the sun’ climbs in tandem with the instrumentation, rising to a glorious peak which abates as quickly as it came. It’s an enthralling piece of music which showcases a slightly new direction for Watson, and it makes sure that The Morning opens with a highlight – a musical sunrise of sorts. It’s good to see a few older tracks in Windows, Close , Sink Or Swim and Into The Wild return this time around, and it’s also good to see that only these four do so (not that there was anything wrong with the rest of Watson’s material prior to The Morning). The record feels fresh, and even these familiar tracks shine with that same glow they carried upon release, but now they do so as part of a fuller body of work. These songs provide sparks of familiarity amongst newer material but they don’t necessarily feel like add-ons. The updated version of Windows is brilliant, with Watson remembering a relationship with a keen eye to detail, playing on the little things and making them seem much bigger (I’m sleeping with a pillow under lamplight / I’m freezing cold ‘cos you always liked the windows open wide’). It’s relatable, as are most of the tracks and it’s told with maturity that paints Watson in the best light. He has a talent for taking a simple concept and relaying it with colour, surrounded by warm instrumentation which makes a track as cosy as it cathartic. It’s a trait of a great singer-songwriter; the ability to take what’s initially a personal track and make it inviting and effecting, and Watson had mastered the art long before his debut, as Windows shows – he’s just upped his game here. Some listeners might prefer the older, acoustic-heavy approach, but I’m a sucker for progression, and it’s wrong to begrudge his progress. Sink Or Swim maintains its raw edge but after the first verse it unfolds beautifully, with Watson’s vocals floating during a great chorus as slightly washed out instrumentation and backing vocals drift alongside him. It’s a stand-out track in more ways than one, and even though I’ve listened to the original almost fifty times it remains one of my favourite tracks on his debut LP. Holding On was another personal favourite, the most ‘fleshed out’ track, and it’s chorus is sublime, drawing comparisons to Gabrielle Aplin’s Keep Pushing Me as Watson’s vocals climb and instrumentation surges, every aspect of the song coming together to form something wonderful as the lines ‘If this is the easy way out then why I am I finding it hard as hell?’ query in a way which the majority of listeners can connect with. The Morning ends with Castle Street, another song which covers a relationship looking back. Similarly to Windows it’s full of relatable quirks (‘Under the bridge on Castle Street we wrote our names in the concrete’) , and it also offers some closure, taking a much more optimistic stance reflected in another emphatic chorus as Watson finds some love in loss. It’s a fitting closer, a rousing finale, and it ends his debut with one of his best songs to date. Upon conclusion it’s pleasingly apparent that The Morning is a brilliant debut, but it isn’t without its flaws. Song structures tend to be quite repetitive, with tracks often beginning as purely a solo affair as Watson sings and plays guitar before layers are added during the chorus and second verse. It means that the majority of songs on The Morning begin delicate and end triumphant, but there is perhaps a feeling that Watson could experiment slightly more. Very few songs begin full-band buoyant outside of the brilliant Holding On, although almost all of them make up for it later on. I also found ninth entry Halo to be fairly forgettable despite some great male/female dual vocals, and the song as a whole was smothering, the only disappointment on a record which consistently exceeds expectations. 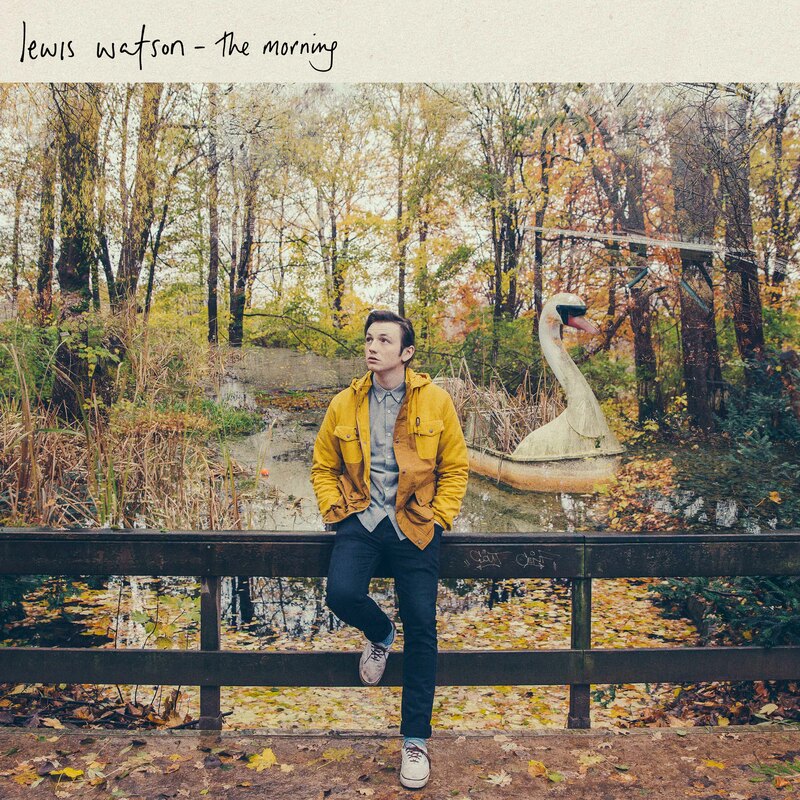 Small criticisms aside Lewis Watson has delivered on the promise his first few EP’s showed, and The Morning is one of the best singer / songwriter records I’ve heard this year. For a debut it’s everything it should be, and wherever Watson goes from here will be kick-started by the wealth of pleasures The Morning has to offer. He’s done more than enough here to ensure that his already commendable reputation continues to grow, and he’s done so without alienating any of his long-term audience, which isn’t always an easy task. If you’re already a fan you’ll love The Morning, and if you’re new to Watson’s music there’s a good chance you’ll love it just as much, because this is a record which is very difficult to resist and even harder to forget. Stream The Morning prior to its release over at Billboard.